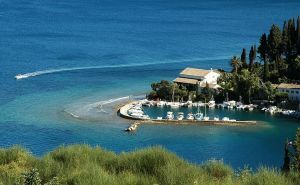 You can visit Corfu any number of times and never discover all the island has to offer. Grand museums and fortresses in and around the town are not to be missed, while the countryside has many monuments and landmark features worth a visit. A hundred traditional villages await exploration, and mountain ranges, deep valleys and vast tracts of idyllic scenery offer a new perspective at every turn. 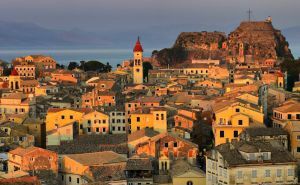 The Top Ten places to visit in Corfu Town, Out of Town and Further Afield. 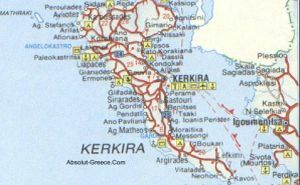 A useful large scale map of Corfu. 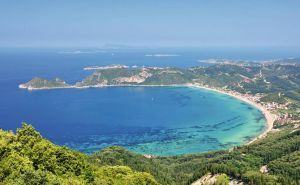 This is a route of dramatic contrasts, following Corfu’s scenic northeast coast and returning through mountains. A drive to the famous resort of Paleokastritsa, followed by a climb over the mountains to Sidari. 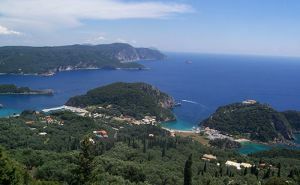 The return to Corfu Town is via the scenic Troumbetas Pass. This drive passes the Achilleion then continues south through Benitses and Boukari before returning along a winding mountain road. 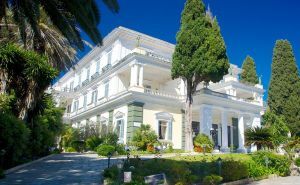 This guided walk, written by Hilary Paipeti, traces the history behind some of the notable buildings and locations in Corfu Town. 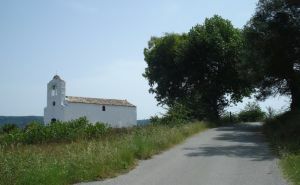 The route leads from a Corfiot mountain village through olive groves to a tiny chapel. 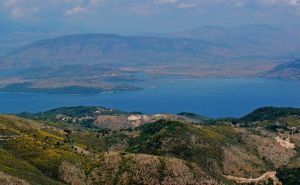 An excursion around the coast of Corfu, with inland diversions to mountains and valleys. Includes a description of the island's topography. 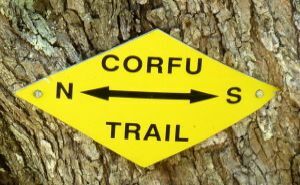 Corfu is a walker's paradise, with a huge variety of scenery, lovely footpaths and trails, and many places of interest to aim for. 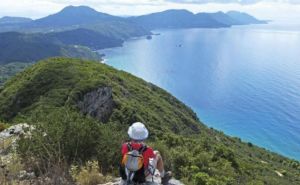 In this book, downloadable as a pdf file, Hilary Paipeti shares the knowledge of walking she has gained over her years in Corfu. 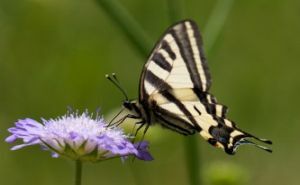 A guide to both the popular seaside resorts and some of the lesser known, quieter beaches of Corfu Greece's greenest and most cosmopolitan island. 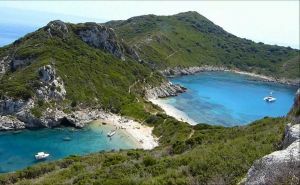 Tailor-made tours of Corfu for groups or individuals in air-conditioned comfort. Collection and return at the port with a choice of tours and duration. This is the photograph which prompted a local man - born on the island - to comment 'No way in the world is that place in Corfu!'. It's one of innumerable spots on Corfu which remain unrecognised, and are Metaphorically and sometimes literally, off the Corfu map. 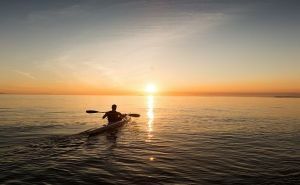 Sea kayaking day trips to be enjoyed by experienced kayakers, first timers and all levels in between. 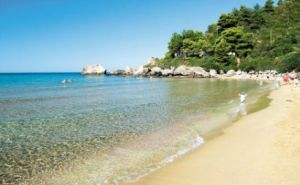 You will have the chance to explore some of Corfu’s wonderful coastline at a relaxed pace and to appreciate its stunning, almost spiritual, natural beauty. 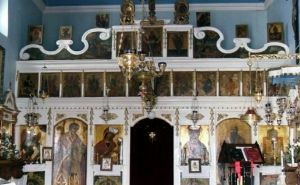 This small Orthodox church is devoted to the Virgin Mother, the Odigitria. The Odigtria icon is the essence of the church and probably dates from the time the church was built, which is believed to be before 1650. 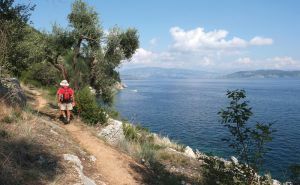 A guidebook to 22 day walks on Corfu including the Corfu Trail, described in 10 stages. 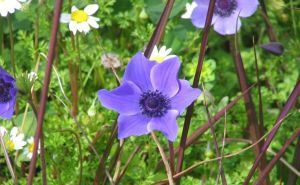 The day walks are spread across the whole island and visit olive groves, coastal paths, sandy beaches, lush green hillsides and picturesque villages. 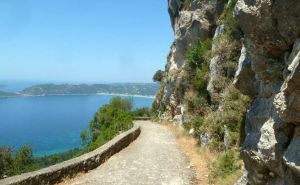 The Corfu Trail runs the length of the island from Kavos to Agios Spyridonas.